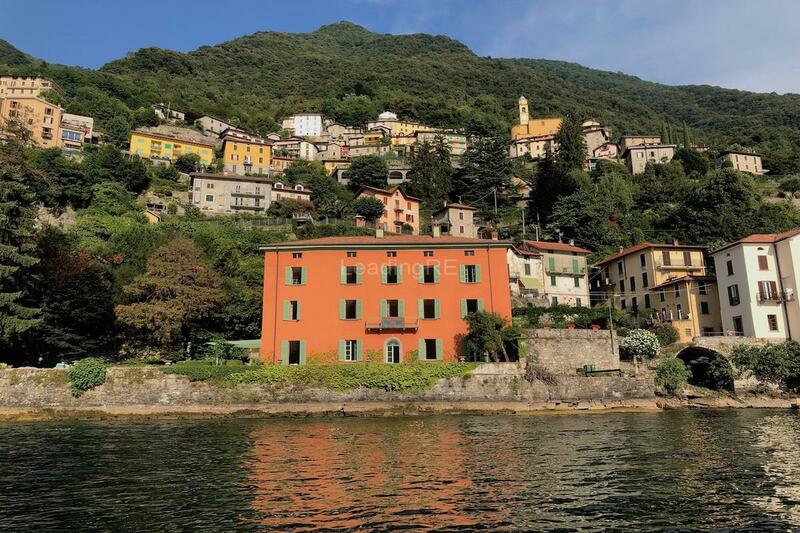 Villa in high-class style of Liberty with its own park, near the downtown of Como and Lake Como, the lake which in 2014 was recognized as the most beautiful lake in the world: according to the known blog "The Huffington Post." This country house borders with the Spina Verde park which occupies the space of several kilometers along the hills which separate Italy from Switzerland. The country house was constructed from 1919 to 1921 by request of the Gentleman Angelo Valli – businessman monopolist of the silk sector in Como. Angelo Valli involved the famous architect Federico Friggerio who designed the Temple of Volta, Commercial Bank and many villas on the banks of Lake Como. The architect Friggerio participated also in works on reconstruction of the main Cathedral and Como Square after the fire of 1935 which damaged a dome of Filippo Juvarr. 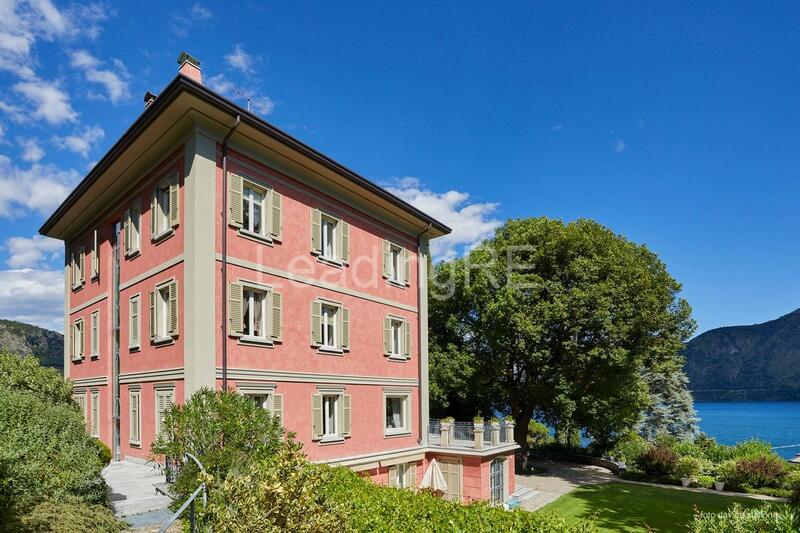 The villa is surrounded with the park of 5000 square meters, located on four floors plus a tower. Total livable surface is 1200 square meters. In the basement there is a storeroom, the laundry, well-equipped place for living, a workshop, a boiler room, the room of the elevator and a winter garden. The main entrance in the villa is located on the ground floor through a wide atrium where the main ladder settles down. On this floor there are the dining room with a fireplace, the hall with a fireplace, a kitchen and two bedrooms with two bathrooms. Also there is a porch of impressive size. On the first floor, except the large kitchen from which there is access into a wide terrace, there is a dining room, the hall with a fireplace, three bedrooms, one of which is the main bedroom, 2 bathrooms and one more big terrace. The second floor is a penthouse and it is divided as follows: kitchen with the dining room, hall, an office and two bedrooms. From this floor it is possible to rise on a tower where the panoramic view of 360 degrees of the Alps and even the Padan plain opens. In 1990 the villa was completely updated and the elevator connecting all four floors was installed. The park is designed in Liberty's style. It contains staircases, parapets, the pool with fishes and a handwork grotto remained in an excellent state up to now. In 2015 a car entrance was made in the park, and also works with pipe lines and rain drains have been carried out, besides the electrical network for lighting of the all park. In the plot of the villa is located the two-storied building intended for a stable. There is a swimming pool (12m x 10m) constructed in the sixties with strong cement which can easily be renewed. Near the swimming pool there is a zone for the barbecue and a small building which can be turned into a locker room, a sauna or other. The unusual architecture, elegance of lines, exclusive arrangement, the beautiful park, richness of architectural details only give prestigiousnesses to this villa. The villa is located on the hill near San Fermo della Battaglia's center. It is a municipality with excellent reputation with the population about 4500 people, where the order is in the first place.